Push-back rack systems designed by Morrison Company provide maximum storage density combined with 100% SKU selectivity, in one flexible, cost-effective system. Drive-in is a perfect option for high volume, low SKU applications, but not ideal for applications requiring increased selectivity. 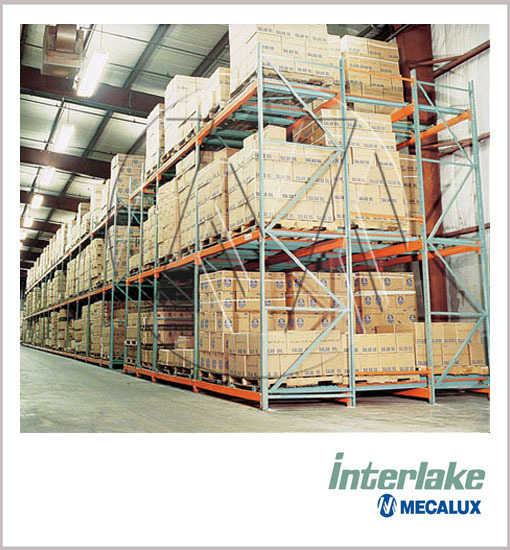 Push-back is the solution; dense pallet storage up to 6-deep, with full SKU selectivity for every pallet position. The basic operation consists of nested carts (trays) on inclined rails. The pallet is placed on the top cart at the aisle face. That pallet is then “Pushed Back” as the second pallet is loaded on the cart nested below the top cart, and so on, and so on. When the front pallets are retrieved, gravity gently glides the back carts to the aisle face position, one at a time as the carts re-nest into their original configuration. This system is ideal for LIFO product management and can be installed in ambient, cold and freezer storage locations.